Did you know that 4 out of 10 school children are affected by allergies? These allergies include both indoor and outdoor allergies. Children suffering from allergies may have a harder time staying focused in school, and lead to an overall case of drowsiness. Children's Claritin is specifically formulated for kids and is a non drowsy anti-histimine, working to combat those tough, pesky allergies! 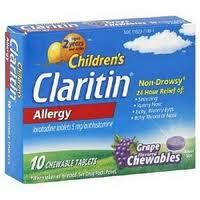 What's even better is Children's Claritin provides a full 24 hours of allergy relief for your child! Children's Claritin is also the #1 recommended non-drowsy allergy brand. Children's Claritin comes in a variety of forms including chewable tablets, liquid, and dissolving Redi-Tabs. The syrup and chewables are recommended for kids ages 2 and up, while the Redi-Tabs are recommended for kids age 6 and up. I received a sample of Children's Claritin Grape Chewables from BzzAgent to review with my own kids! My seven year old twins have suffered from allergies since they were toddlers, yet for some reason I had never actually tried the Claritin until now. We had always used different things such as the generic brands and doctor prescibed medications. My girls also have asthma, which according to their doctor it is common to see allergies with asthmatic patients. I'm sure other moms out there with children that suffer from allergies can relate to painfully having to limit some of their outdoor activity time due to allergy triggers. Since using the Children's Claritin Grape Chewables, my girls are able to play outside longer because of the full 24 hour relief just one chewable provides! I really wish I would have tried Claritin sooner because this stuff works great! 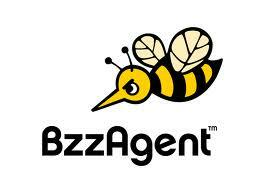 I have seen a huge reduction in their allergy symptoms, which is in turn making their asthma issues less intense. Usually they need their inhaler when playing outside in the spring, but they haven't used it once since using the Claritin chewables. If you have a child that suffers from allergies, this is a product you must try!